Holiday Inn Club Vacations Holly Lake Resort in Holly Lake Ranch, Texas - Buy a 7 Night Stay in a 1 or 2 Bedroom Suite! Enjoy 7 Nights Stay in a 1 or 2 Bedroom at the Holiday Inn Club Vacations Holly Lake Resort in Holly Lake Ranch, Texas! Holiday Inn Club Vacations Holly Lake Resort is the perfect family or outdoor vacation. 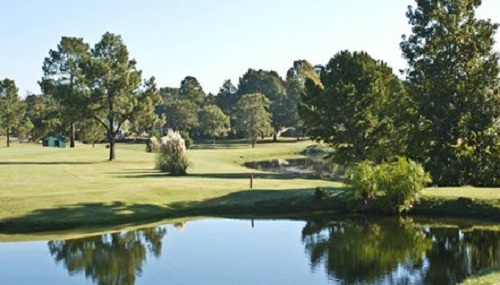 Situated in the midst of the famed Piney Woods of East Texas, the resort has its own lake and offers a wide variety of water activities, such as boating, swimming, and fishing. Plus there are three pools and a playground for the kids, and the sports folks among you can try golf, tennis, hiking, or archery. There is a snack bar and game room, and some of the most beautiful land to walk around in East Texas. There is always plenty to do… or the chance to just do nothing. Holiday Inn Club Vacations Holly Lake Resort is perfect for an outdoor getaway, right in the heart of East Texas and set against a backdrop of lush pines, and the area is flush with beautiful lakes, woods, and scenery. You could catch a glimpse of some area wildlife such as alligators and wild hogs. Shoppers will enjoy the nostalgic antique shops, malls, and many dealers. For the kids, nearby is the Caldwell Zoo, popular for its petting zoo and other live attractions. The Big D – Dallas – is a great day trip for the big city experience with its historical sites, shops, fine restaurants, and much more. Holiday Inn Club Vacations Holly Lake Resort offers spacious and comfortable condo units that families, singles, and kids will love. Bedrooms are roomy and all units have full kitchens and plenty of living space. The couches and chairs are soft and inviting, and you can spread out and rest up after a busy day vacationing. The outer design is rustic as fits the area; the interior décor is pleasant and well-kept. Window views are lovely any time of year, and everything is kept under total security for your peace of mind. Two bedroom units (max occupancy 6) have 1.7 baths, 2 full size beds and a sleep sofa. A US $50 security deposit is required in the form of a credit card imprint (VISA, MASTERCARD, AMEX, DISCOVER CARD).